When school ends for the year the children run out the door saying good bye to their teachers knowing that for the next two months they will be able to relax an not think about school. Teachers finish the last of their school -related activities, close their classroom doors and go home until the end of August. This is what happens at schools all over. If you passed by Assumption Catholic School of Perth Amboy recently you would not have seen a sleepy building without its teachers and children. You would have seen a mix of grownups and older children from the Ukrainian Catholic Church of the Assumption parish, Assumption Catholic School teachers and children, the parish priest and finally parents of the A.C.S. Family School Association. They had gathered at school to do something that many would not want to do after school closed. They had gathered to work. 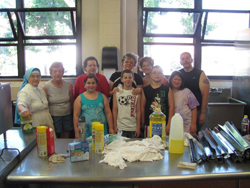 While the parishioners, F.S.A .members and teachers worked together to scrub and sanitize ovens, refrigerators, sinks, and countertops, the students could be seen washing and drying dishes that would be stored for the summer. Pastor, Father Ivan Turyk, was both happy and amazed at to see how easily everyone worked as a team. When one job was finished, the next was started. After working together for two days everyone was tired and ready to start summer. They left with the satisfaction of helping the A.C.S. 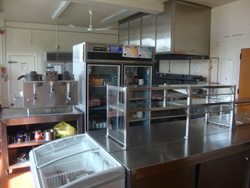 community continue to prepare for the return of the children In September. Assumption Catholic School is accepting registration for Pre K through eighth grade. 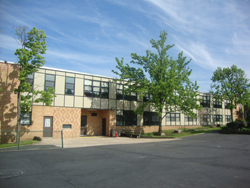 You may schedule an appointment for a tour and registration by calling the school office at: 732 – 826-8721.